New to the Gameboy 'Chiptune' Scene? Or maybe your still trying to get to the bottom of what this whole Chiptune thing is? No matter your situation, by the end of this Instructable, I can promise you'll be a pro! Relatively new to the 'LSDJ' scene myself, I was baffled when I tried to put together my first DMG- so many options, yet so little troubleshooting guides! Seeing the need for more structured tutorials, i planned to put my own together- that is, after i could figure everything out! Fast forward a few months, and here I am! A bit more experienced in working with the Gameboy, and electronic skills increased, I started working on the group of tutorials within this Instructable to help others conquer the DMG, helping you make an awesome, custom instrument, all of your own! Now follow me, on a journey, as you and I turn our ordinary ol' Gameboys into something truly worth making music on! If you like the Instructable, or are following it to build your own DMG- Please consider voting for it as a winner in the Music Instruments Contest! It's just a quick click- and I'd really Appreciate it! Thanks! Thank you guys so much for your votes! It's because of you i placed in the Musical Instruments Contest- i really appreciate it! Update (9/30): Having finally finished the two main builds featured, i thought i'd come back to add some pics- as well as go more in-depth about my new found friend- the Pocket! - Chiptune: As the name implies, a Chiptune is an analog or emulated tone created by some kind of 'chip'- or rather an IC. In most cases though, these tones are brought together forming music! Think Atari and NES, or in our case, Gameboy! - Chrystal/Oscillator: A Fancy little part that essentially vibrates electrical signal that can be honed to a very accurate frequency. Commonly used to keep time, you'll see later we can mod the Gameboy's to make it run quicker/slower! - DMG: A common nick-name for your standard original Gameboy, the letters DMG come from the first part of the model number's printed on each Gameboy. - Gameboy Advance/SP/Micro: Other types of Gameboys, not normally associated with Chiptunes, as they're new aged ways of audio processing sound no where near as good using LSDJ,as the old ones! - Gameboy Color: A bit smaller, and with a colored screen, the Gameboy Color is still very mod-able! Pay close attention though, as somethings, such as the backlight require completely different parts! - Gameboy Pocket: A smaller, model of the original DMG, that contains a much more clear screen. These guys are almost identical in circuitry to the original Gameboy, so many DMG mods will work on here too! - LSDJ: Unlike the psychological drug, LSDJ, or Little Sound DJ, is an amazing little program that's most common in the Gameboy Chiptune world for making music! Check Step 14 for more information! - PS/2: An older connector for keyboards and mice, you can use a PS/2 keyboard to play sweet tunes on LSDJ like a piano! Checkout Step 12 for more info! -Tri-Wing Screwdriver: An uncommon screw type, that also just happen's to be Nintendo's favorite! Be sure to pick on of these up before we begin! Step 2: ... and Testing! Here we'll cover testing/troubleshooting- have a problem with your DMG, and just not quite sure what it is? This step is for you! Hopefully we'll get that baby running like new! Due to their age, and the age of people who've owned them, there's a pretty good chance the DMG you have has some kind of issue. This is by no means the end of the world though! In fact, i bet we can diagnose, and fix you're problem easy! So, how 'bout it? Pop some new batteries in there, turn the volume all the way up, and let's get started! 1) Does your Gameboy's Power Indicator light up? 2) Are you sure those are new batteries? If yes, go to 3 | If no, Get new batteries!! 3) Are the Battery Contacts Clean? If yes, Read Section I | If no, Clean Them!! 4) Turn the contrast knob all the way up, and then bring it down slowly- does it look like the gif? 5) Are their lines in the screen when turned on highest contrast- as illustrated in pictures 1 and 2? 6) Did you hear a chime after boot? 7) Plug headphones into the headphone port, and restart- Do you hear the chime now? 8) Does the gameboy atleast go from a brighter screen to a darker one? 9) Are there two horizontal lines fizzing in and out on the screen? Seems like you have a problem with your Gameboy's Power Supply- maybe it's the regulator? My suggestion is to open it up, and see if you can find a blown capacitor, or other signs of damage! Don't worry, your Gameboy isn't scrap yet! Lines in the screen, both horizontal and vertical are pretty common- don't sweat it, you can fix these easy! Once you have your Gameboy open, check out the screen- you'll notice the contact pads directly below, and to the right of it. Run your soldering gun over very quickly until the line disappears! Just be sure not to burn though the insulation! Most likely a problem with your speaker- it's not really all that uncommon, often they'll get junk stuck inside of them and whatnot.. Don't sweat it though, we can replace it, or just remove it! Sounds like a classic audio problem- maybe you're preamp blew a cap? Once we open it up, look for visible damage! You're Gameboy can be saved! Seems like your Gameboy's clock is messed up, no biggie, we can replace it! Problem Fixed? If not, please let me know! We'll figure out what's wrong! Step 3: Hopes, Dreams, Colors, and a Small Taste of Everything Else. Whatever the case, make sure you have a plan before you start building. Below i've compiled a list of popular mods, given an idea of how much space each'll take, and have linked some awesome examples of each, see what you like, and when you have a feel for what each does, and what you want, it's time to start designing! Backlight - One of the most important mods for long term music writing, Backlights in DMGs, Pockets, and even GBCs have come a long way since they first originated. With a relatively simple install, and next to no space taken, a Backlight is a must have- especially when there's tons of colors to choose from! Pitch Mod - One of the most neat mods, this little guy works by cutting off the crystal oscillator that normally controls your GameBoy's speed, and replaces it with a signal from a LTC1799 that varies with the voltage supplied from a potentiometer- ergo, you can control the time your Gameboy runs at, therefore controlling the pitch (think over/under-clocking). Although the LTC is nice and tiny, the pot can get pretty big, and although it's common practice to remove the speaker and use that space for the pot, i like the idea of using a slide potentiometer on the side. If you want to be able to enable/disable to Pitch Mod, like in the video, plan on leaving room for a switch! Biversion/inversion- A huge help in the field of contrast, and an awesome looking mod to boot, Biverting a gameboy give you the option to switch between an inverted screen, and a normal screen by- you guessed it- inverting bits of data before they reach the screen! A pretty simple mod, only requiring one chip, this is sure to spice up any DMG! PS/2 Keyboard - A nice simple mod, with a couple of options: Either connected though the link port, or using an internal PS/2 jack- this mod is a perfect fit for anyone playing live. Arduinoboy - One of the most interesting mods, the Arduinoboy will give your Gameboy full MIDI in, and MIDI out support! The Arduinoboy also brings with it an array of LEDs that will flash along to your tunes! Although originally designed for external use, many modders have made use of the Arduino Mini/ Mini Pro to create an internal Arduinoboy! Taking up quite a bit of space, an internal Arduinoboy has a couple variations, and will be a challenging build for anyone new to electronics! The pictures above show the space you'll have inside, as well as some common placements of parts inside a DMG! Also attached is a template that can be either printed, or opened in an editor so you can create a hard/soft copy of your design! The majority of Parts Lists link to a specific product on eBay- this is because local shops, like Radioshack, don't carry some of the more exotic parts! A simple search of the part's title will yield you many more places to buy though- if you prefer to deal off of eBay! Link parts are also not the only parts that will work! Don't let them limit your creativity! Alright! Finally to the good stuff! Taking apart a Gameboy is pretty simple- just a couple of screws to undo, a ribbon cable to (carefully) pull, and a speaker to wiggle out! Depending on your model, you may or may not need a Tri-Wing Screwdriver, for the back screws. A Tri-Wing Screwdriver has a tip that looks like a Y, rather than the Phillip's +, you can find a good quality/cheap one- here! Once the back screws are out, you should be able to pull the two sides of your Gameboy apart- but be careful! Holding the two together is a little ribbon cable you'll have to disconnect. To do so, just pull strait down from the connector, as shown in the gif! Once the two sides are separated, unscrew the remaining screws (locations shown above) on either side, once done, you should be able to separate circuit from casing! Congrats! You've fully disassembled your Gameboy! Remember to hold on your screws, we'll need them later! Having painted quite a few DMGs, i've learned a lot about ruining them! Hopefully i'll save you that trouble! First thing's first, deciding how you're going to paint it. I've tried spray paint, but i've never had much luck- although you can achieve really cool results, i tend to stick with an airbrush. You could get away with a lot honestly, just make sure the paint you're using is oil based, and made for plastics! Countspicy also mentioned using vinyl dye, which can be found at most local auto stores- although i've never tried myself, i'll try to get my hands one some- and hopefully post the results! There's not much too much else to go over here, but i do have a few suggestions! Hopefully these'll help you in your travels! - Before painting, make sure to have removed all stickers, the metal sheet (to hold in games) on the back, and the battery contacts in the DMG- check the gif for a super simple way to pop these guys out! - It's not a bad idea to scrub down or soak your DMG before painting- a Magic Eraser works wonders! Otherwise just a nice rinse in water/soap should do the job! - Depending on the look you're going for, sanding may be a good route to remove dents and nicks! - Many Chiptuners complain that painter's tape doesn't hold tight when spray painting, i have found that Frog Tape seems to work just fine though! - Battery contacts rusty, or covered in acid? Try soaking them in a 70/30 mix of water/vinegar! If they're still not clean, think about using super fine sandpaper to sand off those imperfections! Comment you're own suggestions and tips! I'd love to hear from ya! Sorry to interupt, but Gameboy Color folks- you're going to have to do this entirely differently! Check out Zachariah Cruse'sInstructable here! You DMG and Pocket peeps keep reading! ASM corners the market when it comes to DMG backlights, and you can learn more about them/see them in action, on his page here! But before we go on, let's talk a little about how one of these bad boys will work. The average DMG backlight is really only composed of a few parts: 3 or 4 LEDs, a resistor, the plexiglass dispersion sheet, and some films above and below it- which simply bend the light, making the most out of the LEDs at the bottom. We're not going to have to deal with any of that though! ASM backlights are super easy to install, and although i'm only going to be going though how to do it on a DMG, it's very possible to do this on a Pocket as well. Start off by taking a look at the board containing your screen. We're going to have to peal off the black rubber piece on top of the contracts- this is normally here to help defend against blank lines in the screen, so be sure to hold onto it! After that, start unscrewing the two screws holding down the ribbon cable, once those are gone, we're good to peal back the screen! Now comes the tricky part; grab a knife, razor bade, or very sharp object of sorts, and wedge it between the glass the backing of the screen. Keep applying pressure, and eventually it'll start to peel! Take it slow from here! Otherwise you'll end up leaving behind foil. I pulled mine up a bit too fast to show you what will happen, and as you can see the adhesive back came off, but it left a good amount of foil. If this does happen to you, don't worry! Just scrape it off! Nice a gentle to avoid scratching the screen. Once we've got the old backing off, we're good to toss in the Backlight! Depending on your model, your polarization screen may or may not be attached to the screen. In my case, it was a separate piece* so i slid in the backlight- wires going down, and then put the filter on top- facing in so that my screen would remain un-inverted. *You're able to invert your screen by turning the polarization screen 90°- More on that in step ***! Now we can lay the assembly back down, and put back on our rubber piece. In my case, you can see my screen needs a bit of cleaning- a touch of Goo-Gone, and a little elbow grease will fix that! Once we've done that it's time to solder in our screen. Although you could really use any +5v/ground points, the closest are going to be from the capacitor right below the ribbon cable. Using the diagram solder you're red wire to the left anode of the cap, then finally solder your ground wire to the cathode of the capacitor. That is, unless you want to add a switch! To add one, simply take your ground wire, and solder that to one side of the switch. Next solder a wire to any ground point, and then solder that to the switch. You should be set! Pop you're screen back into the back board, and give it a go! How's the Backlight? Wait- it turned on, but you don't see anything?! Before you freak out, check your screen contrast, if that's not the problem, take a look at your polarization film, are you sure it's in correct? if still nothing, check your solder points- no doubt you'll have it working by now! Now that it all works, you're good to screw back in the ribbon cable screws! And you're done! If that's all you plan to do, you're free to screw the whole front board back to the front casing- Well done! Discovered by Trash80 and brought to life by an eager community of Gameboy enthusiast, what was originally called the 'Line Out Mod' brought a much more vibrant bass and a clean sound out of the average Gameboy by bypassing the it's internal pro-amp. You know how some audio gets distorted if you play it so though some cheap speakers? It's the something is happening here! By skipping over the amp, sure we may lose some volume, but the sound is so much better. This 'skipping' is done by taking the lead either directly before, or after it reaches the volume potentiometer and wiring directly to a foreign jack, or to the internal jack of the Gameboy. Now, you have noticed i mentioned there were a few different ways of wiring this, and we'll talk them over in just a sec, but first, let's take a look at our board (you'll be wanting to look at the back board for this). Use the first image as a reference to the five leads of the volume pot. From here we have two options- do we want to take the audio after it's processed though the pot? Or do we want the raw sound? In all honestly, unless you're planning to route the audio though something else (you're own amp, for example) there's really no reason to take it before the pot. Using the 'Post' method also allows you to raise/lower the volume with the pot- as you would using the built in audio jack! Make sure to remove the batteries before you start soldering! Once you're done, toss in some batteries, a game, and plug in your 'phones (you don't need to plug the screen back in)- does it work?! if it's not working, or it sounds grainy, don't worry! Just check your connections! It maybe that you have some cold joints, just touch it up a bit, try holding you soldering gun on the contracts longer, creating a better joint, and check again! Over Clocking has been a common method in the modding community as a way to play games faster- things like Pokémon, and Mother can seem to take for ever to someone who has already beaten the game, and overclocking caught on, as it provided a way for the system to run at a faster speed. In the Chiptune world, Over and Under Clocking provides a simple way to shift between tones- a Gameboy running at a slower speed will produce lower frequencies of sound, while Over Clocking will make the pitch higher. But wiring these different crystals to a switch, the user can effectively switch between speeds, altering the sounds to his or her liking! But enough jibber-jabber, let's get started! Alright, now that we have everything we need, it's time to get started! *Side note For those of you working on the Gameboy color, below is very similar, but for better pictures check out this awesome instructable by themadhacker! Just want your one need speed? Sweet! In this case you can go ahead and remove the old oscillator- the best way of doing such seems to be with an alligator clip- clip the oscillator, and pull as you heat up one of the legs, then melt the solder on the other leg until you can wiggle it free! Once removed, depending on the size of your new crystal you may be able to solder it back into the location of the original. In the event the new on it just a bit too large, solder wires to both holes where the original oscillator once was. Solder the other sides of those wires to you new crystal, and you're good to go! You're good to test the bad boy! If you're having issues, check the joints, make sure all the points of solder are good connections, and try again. If it's still not working, you may have damaged the crystal- the chances of this are low though, so i'd check your connections again! Better? Awesome! You're doing great! Onto the next mod! Too cool for just one crystal? I feel ya! First you need to make sure that you have a switch that'll work. For have two separate crystals you'll need a two position switch- for three you'll need a three position switch, etc. For all intents and purposes the diagrams above will not just how to wire two crystals, but also a three crystal setup! Now that you've got it all hooked up, test it out! If it doesn't work right away, its alright! Check you're connections, and if they look good, make sure you have it wired right. If both check out- double check! You'll find the mistake! The Pitch Mod got it's big break over at Get Lo-Fi, where a kit and instructions were posted almost 4 years ago! Of course since then the mod has undergone some slight improvements, but the basic design remains the same. Based around the all mighty LTC1799, a precision oscillator, the mod aims to provide a slightly higher, or lower clock frequency making the Gameboy run faster or slower, respectively. Using a simple circuit the LTC can produce waves from anywhere from 1kHz to 33MHz, and with an added pot we can scan though that range, allowing pin point speed! As mentioned earlier though, the LTC is super tiny! As it's only in an SMD package, and only about 4mm long, break out your magnifying glass, and let's get started! - and of course, Wire! Alright, after you've acquired all the parts, start by soldering the LTC1799 to the adaptor. when soldering SMDs the easiest way is use just a tiny bit of sticky tack, or some kind of adhesive, to keep them still. Then apply just the smallest bit of solder, and drag it away from the chip. This method, works differently from drag soldering, as we're only going to be soldering to one pin at a time. For those of you who are new to SMD soldering, like i was, check out this tutorial, it's a huge help! It's a good idea to check your contacts with a multimeter before you continue- make sure everything's set! Once the circuit is completed, it's time to solder it into place! This will be cake, as long as you pay attention, and solder to the right leads! Find those leads on the diagram above! Any +5v/ground spot will work, but the two shown are recommended to save space. Here you also have to option to add a switch! Wanna go back to the gameboy's internal clock? No problem! just attach a switch between the clock out signal! If you're not going to ad a switch, it might be a good idea to cut the trace connecting the internal oscillator, which is also pictured. IF YOU'RE ADDING A SWITCH- DO NOT CUT THIS!!! Once you're finished connecting everything, reconnect your screen, and give it a try! If not- don't fret! Check all connections first, make sure nothing's loose/shorting. If everything looks good, check the circuit itself, make sure you've got everything wired as it is in the schematic. If you still have a faulty circuit, try cutting the trace, and only after that, if you still have no luck, should you go back to the start, and replace the LTC1799. But if it does work: awesome job! This one can be tricky to get working on your first try- i'm impressed! Whether you're looking to make your screen more clear, or just want a cool display, Biverting, or Inverting are both awesome ways of doing so! As the name implies, in this mod we will use a data inverter to invert the signal coming to our screen! Although i'll cover their operation, you can find more info on how these chips/ the Gameboy's screen work here, on nitro2k01's page! Now before we jump in, it's important to know the difference between Biversion, and Inversion. Inversion will reverse the color scheme making black: white, light grey: dark grey, etc.. This will be permeant though, and you will not be able to switch back to the normal scheme without changing around you Gameboy's circuitry. Biversion simply enables the ability to switch between an inverted and un-inverted screen. *This polarization inversion is sometimes used with a chip inverting the display once more, creating a more clear original color scheme. Now that we know what's what, decide on which mod you want, and scroll on down to the directions! Let's start off by checking out where we're going to be operating in this mod. Once you've found the post right above the screen ribbon cable jack, slice the two traces shown in the picture! Make sure to cut below the via, and to make sure you don't accidentally cut anything else. Once those contacts are history, we're going to start soldering wires to the chip! As we're going to be Biverting, take a look at the 74hc86 diagram, and attach wires the legs as necessary. The 74hc86 is made up of four XOR gates: we'll be using only two of them though. If signal goes into both inputs of the XOR gate, the output will come out negative, while if only one is powered it'll turn out a positive. This means if we power one of the inputs (this is what the PWRs are doing) we will invert the signal coming from the board! the Biverting comes if we 'short' these PWRs to ground- which is what the switch will be doing! Finally by wiring the output directly to the screen's jack, we will be able to bivert the screen! If you're having trouble wiring to the jack itself, try sneaking the wire around the back- checkout the last diagram for help on this- it can be though! If it does work though, nice job! Once you've got the parts, lets checkout where this is all going to go down! Just a bit above the screen's ribbon cable jack, we're going six joins forming a rectangle. From here, we're going to cut two traces that make their way to the jack itself- see the pictures for a better understanding. Before we go on, let's take a look at our chip! The 74hc04 works on a similar principle as the 74hc86, but rather than having two inputs, it already has one leg powered- in lamen's terms, input goes in, inverted output goes out. With that under our belts, we can solder it up, just like in the diagram! Now we're set to solder to the board! Follow the pictures, the bits come from the comb of six points, and the bits out should be wired directly to the screen. This part can be tricky, as the screen jack really doesn't like being soldered to- and accidental bridges happen just a bit too often. If this sounds like you, try bending you're wire, and scooping it underneath the jack's legs, it's so much easier to solder as so! You're good to test after that! Plug in your screen, and give it a go! How's it work? If you're screen is blank, or all black, it could be because you have touching contacts. Make sure you have clean joints, and try again, no doubt you'll get it! Nothing beats a sweet set of LEDs lighting up from within your case- or maybe you're interested in changing out that nasty red power indicator? No matter your intentions, this step is for you! First, lets take a look at adding LEDs within the case- an awesome way to make your Clearboy even cooler! Word of warning though, the original Gameboy and Pocket share many +5v sources, but if you're looking to work with the color i suggest checking out this instructable by 1Up! How we go about this is really up to you! I personally like to defuse my LEDs- by just sanding off a bit of the epoxy, you can ruin the focal point, giving it a much more even glow! Depending on the LEDs you're using, you may need to toss in a resistor, check out this LED Calculator to see if that's the case! Once you know that, it's pretty simple! There's tons of five volt sources, and probably even more grounds! All you need to do is pick one of each, and solder your LED(s) to it! Look above for a pretty simple example. If you're LED doesn't disperse enough even when defused, hot glue works well in spreading the light! Sort of like the Backlight, and it's film with the holes! Although it may look hideous from the inside, it looks great put back together! For those of you looking to replace your power indicator, You're going to have an even easier time! First we're going to need to remove the original power LED, this is easiest by clamping with either pliers or an alligator clip, and pulling it as you melt the solder on the back. Alternate between the anode and cathode side until the LED pops lose! Once that's out of the way, thread the new LED in, longer leg facing up**. Slide it though, and use the solder already there to keep it in place! Power the Gameboy up, and give it a go! If you're having problems, check your solder job, sometimes the older solder likes to give itself cold joints- make sure that's not your case! Now that it's working, you're set to show off your bright new Gameboy! Credit for the PS/2 Keyboard goes strait to the LSDJ team, a development that came along with the program in an update, the option for a keyboard brings a whole new dimension to jamming out live! 2) You could create an interneral/external PS/2 jack, which you could plug and unplug any PS/2 keyboard from! Both styles have their pros and cons, so take your pick, and scroll to that step below! Ready to slide and dice these two cables into a truly awesome, LSDJ playing, Piano? Let's take a look at the parts, shall we? Now take a look at the Link Cable, peel away some of the black wire casing to get a look at the wires within! Hopefully you'll have five- a blue, a red, a green, an orange, and a yellow (this isn't counting the messy ground/shield that has no insulation). If you're unlucky like me, and only have the four- we're going to need a different power source for your keyboard- perhaps some batteries? For those of you with the correct five wires, check the diagrams from this ChipMusic thread (also above) for some common keyboard wiring colors- if your PS/2 keyboard doesn't match one of these, you're going to have to test a few different combinations. Now just join the wires together, twist them into each other, and maybe add a little solder to hold on better, and WA-LA! you're ready to test! For those of you without the yellow wire (like me) you're going to have to connect the wires you can, but for where the yellow DMG cable is, we're going to substitute as power source! I recommend a CMOS Battery for their size, they're small enough you could even fit it within the keyboard itself! You're going to want about 3-5volts to power the keyboard. Just connect the hot lead to the appropriate wire, and the other battery point to ground! Give the Keyboard a go before taping/heat shrink tubing the wires shut. Remember that LSDJ needs to be set to special settings- XERO does a great job of covering the software side of this project here! Give it a go, and if you're having problems, i strongly encourage you to take a look at your settings in LSDJ before tearing about your wiring. Only when you're positive it's not software-related should you try switching out wires! Just be patient, and keep trying! You'll get it working! First step for an internal port is going to be finding where the link cable is soldered to the board- check the gif if you need! From here we're going to have to solder some wire onto four of these bad boys. Look at the the PS/2 diagram i whipped up to see just what four wires you'll need. When soldering to these joints, you most likely won't need to add any solder/flux, as already these points are overflowing with both! Make sure you've got not bridges, and all wires are secure! Alternately, if you want your jack not in the gameboy, you can attach it to the Link Cable itself, just follow the following directions! Now that we've got wires from the Link Port, we're just going to need to wire those to the PS/2 Port! Use the diagram once more to see the positions each needs to be attached to! Once you've got everything in place, make sure to test it before you close up! If you're having problems, make sure you have your LSDJ settings correct, this can be even more tricky than soldering the port! XERO does a great job of covering the software side of this project here! Now that you've got your keyboard setup, check out the last picture above to see just exactly your keyboard can do! This is it guys. The big one, The Ardunoboy. Created by Trash80 (who you may remember from the Prosound mod), the Arduinoboy was designed as an easy way to integrate MIDI control to DMG, Pockets, and Colors everywhere! Since it's creation there have been many different styles, some of which are even internal! Here you'll find the 'Low-Down' on all of them, and hopefuly put one together yourself! Although the All in One Graphic (prepared by Trash80 himself) above tells you just about everything you need, lets break it down a little, get to know it better, and get building! *Internal Mounts will not require this! Now that we have our parts, it's simply a matter of following the diagram! I personally like to chunk it up, give myself a few parts rather an a large one! Start by creating the Optocoupler's circuit- solder in the chip, followed by the diode, then the two resistors, then attach wires were necessary, to link to both the MIDI port, and back to the Arduino. One down! Now let's start lining up all the other resistors, here you can see i soldered seven in a row- six of which will be used for the LEDs, the other for the push button. One their lined up, solder on some wires, attach you're LEDs, solder to the Arduinoonce more, and you're set! Part two down! Now lets wire up the MIDI out- just a simple resistor, and some play on the Arduino! Well done- we're almost finished! 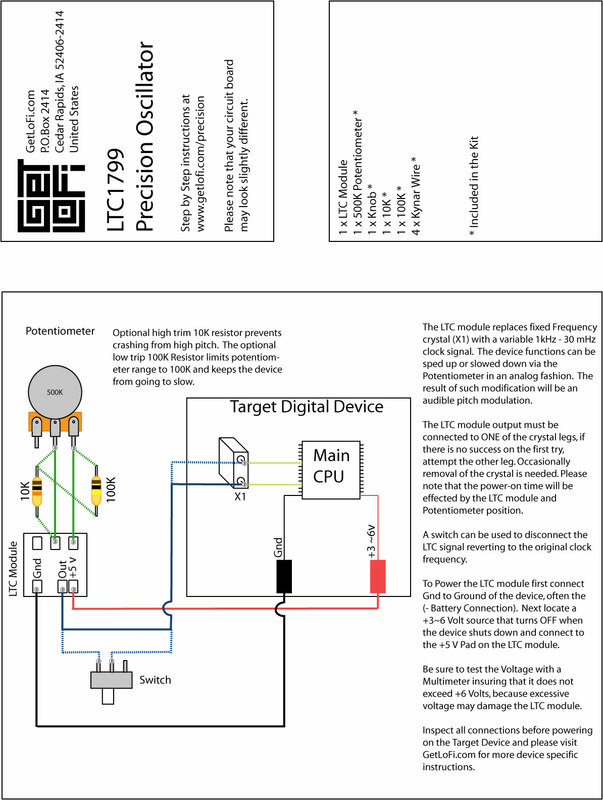 Finally we'll attach this all to either out DMG, or our Link Cable, either way, i created diagrams for both! They're a little more clear than the main one, so make sure to take a peak! Now that we've set it all up- why not give it a go! Download mGB, and flash it to a cart- plug it into your Gameboy, and Jam out! If you're having issues don't fret! Just check you're wiring! Double check you've got no cross talk, or shorts! Also check you've got the latest version of mGB, and that it's working proper! All in all though, Arduinoboy issues can be specific, so please, if you're having problems, comment them below! You may just be helping someone else, with the same problem, out! For another View on how to build an Arduinoboy, check out scienceguy8's instructable- here! For all your software needs (mGB) and more information on the mod, check out trash80's page here! You may have the coolest DMG on the block- but that doesn't mean anything if you don't have the proper software to make music on! And so that brings us to one of the final chapters of this Instructable, Software. But what is Software without a way to play it? That's right, we're going to need a Flash Cart. USB 64m Smart Card - A perfect place to start, the Smart Card is the perfect balance between price and user-friendly-ness! Using a USB interface to connect to your computer, the Smart Card has two separate menus meaning you can store LSDJ on one, and tons of other games/software on the other! As the name implies, each side holds 32m of data, meaning you have plenty of room for plenty of ROMs! The only downside is that you can only have one Save File at a time, which isn't too big a deal if you're careful! Burning ROMs/backing up Save Files requires additional drivers, but these are easily obtainable on Kitch's website for free! Drag 'n' Derp - Although a bit more pricy, the Drag 'n' Derp takes all the drivers out of the burring/backing up process! Literally just plug in the USB, and drag! The Drag 'n' Derp is perfect for beginners who don't want to both with tricky programming! Laking a second menu- the Drag 'n' Derp will only let you hold one ROM at a time,a only has 24Mbs of space. Check out Professor Abrasive's Website here for more info! Bleep Boop - No longer for sale, you may still find an old one floating around online. Bleep Boop cartridges are known for their flashing along to your tunes! With many different models out there, it's tough to give out specs! Nanoloop one - A cartridge made solely for the program Nanoloop, no programming, or case necessary- if that's all you want! The cart allows one to program up to two other 32k ROMs though the use of a Link Cable to USB adaptor (for sale on Nanoloop's site!) Of course you can also use this adaptor to update Nanoloop! Okay, cool! Now we can finally talk about Software! After all, i think that's what this step was all about right? LSDJ - Number one for pretty much every Gameboy musician, LSDJ is an awesome little ROM that you can pick up for a donation of your choice! With so many options and features- i'm honestly not sure i can sum it all up in just a paragraph! Control all four channels of your DMG, utilizing tons of built in samples (Phonemes (speech) and all! ), and tons of different pre-programed features like envelopes, and stero/mono control- oh gosh, i'm getting worked up just typing this! Seriously though, check out the page- and pick up a copy of the ROM! mGB - Once again we see Trash80's brilliance, in this nifty program designed not so much for making music on, but rather to control your Gameboy though MIDI with the use of an Arduinoboy (see step 13)! Easily flash-able to any of the first three cartages, be sure to download the latest version if you plan on building an Arduinoboy! Nanoloop - Much like LSDJ, Nanoloop is another way to create your jams- but unlike LSDJ Nanoloop's more simplistic style of pressing buttons to add to your pattern, negates the long time spent programing a song in LSDJ. Although commonly found on Nanoloop One carts, the ROM can be downloaded and burnt to just about any cart! Shitwave - Excuse my fowl langue, but nitro2k01's typo while creating his program 'Shiftwave' is easily overlooked once you see what it can do! Creating a sweet glitchy sound by cycling though all 16^32 possible wave frames on the DMG in a random fashion! Give the Program a look if you're interested- clocking in at just over 300 bits, i'm sure you'll be able to make room for this one! Below will be some sweet tutorials for LSDJ- there's a bit of a learning curve, so it may not be the worst idea! Of course there are tons of other programs out there, but these are the basics! Think i've missed one? Comment below! I'd love to learn about more! Now that we've got your Gameboy totally maxed out on mods- it's time to cram everything inside, and screw it all back together... It's kinda sad in a way- At least until you turn it back over and see the sweet instrument you've made! I hope both you, and your game console of yesteryear have come far since the start of this Instructable! Thanks for putting up with my silly diction, and overuse of comas! Feel free to show off your builds in the comments below- i'd love to see what you guys have come up with! And please, if you've enjoyed the tutorials, Please consider voting for it as a winner in the Music Instruments Contest! It'd mean the world to me, and it's only a simple click! Thanks Again! See you next build! Hi thank you for this, i have two questions. 1. for the overclocking process can i use a crytsal oscillator of 12 mhz ? 1. Yes! Replace the current crystal, or use a Single Pole Double Throw switch, as to toggle between the two. 2. Like a 555 timer? Good question! I remember researching this year ago and coming to the conclusion it wouldn't work. Thinking about it now I'd guess the 555's PWM wouldn't cut it for the cpu. The LTC1799 injects a nice even wave, similar to the crystals. 2xAA did a cool thing where he used a 555 timer to control the speed using a link cable + LSDJ's tempo protocol. Check this out if you wanna make something external! I like this tutorial a lot, it's very informative. However, it's so info-dense I don't know where to start. It's very unclear what I actually NEED to make music, and what is just other cool stuff to do. I'd like to know what is the easiest and most bare-bones way to make chiptunes on a DMG? Also, I am super dumb and while I'm sure this tutorial makes perfect sense to someone smarter than I am, I would LOVE you if you could make a 'talk to me like I'm five' version. Hello I'm very new to this and I do not understand much of this. I have a GBA SP, what will I need for any of this because all I see is the usage of a GBC. Please help me I really like chiptune and I want to try other ways to make this music. Hello, what you see here isn't even for GBC, but for the one before, the one that started all, the DMG (Dot Matrix Gameboy). Whatever, I'm afraid you can not do anything following this tutorial, the GBA SP is using veeery different components than it's oldest brother. But tell us what do you want to mod on your SP, maybe we can help! However, even without silly parts I picked, you can TOTALLY do this!! You don't pick this all up over night! It takes time to really understand what you're working with! However, no one is "too dumb" to work with circuits! You can learn anything with some research! There are soooooo many great places online to learn, I don't even know where to begin! If you have any direct questions, or points of confusion, I'll do my best to answer them though! I finally watched a backlight installation in real-time to understand exactly what I'm supposed to do. Will be doing that first (: might get confused again on the prosound jack but I'll cone back to you on that, thanks! See... I knew ya could do it! Just takes some research! I've seen other tutorials in which they use the original internal jack. No difference. It's just harder to accidentally pull out and RCA or 1/4" plug than an 1/8" headphone style one. Pretty late to this reply, but Toastalicious is right! No real difference between the two! Pre/post-pot connections are a little different-- you'll get a little more buzz with the post-pot conections, however this will also let you use the volume knob. Wiring to pre-pot will give you a tiny-bit more clear sound, however the difference isn't worth losing that lovely volume control. This is a bit rushed, so I apologize if my explanations aren't 100% clear. Feel free to ask anything else you may be having troubles with!! What about cutting all four wires and even getting rid of the speaker? New project always confuse me in the begining! But once you dive in, everything becomes more clear..
What's trippin' ya up? Maybe I can clear it up! New stuffs like this is always confusing at first! I've always found once you dive in, things start to become more clear! What's confusin' ya? I'll do my best to help! I assume you know this but DMG = Dot Matrix Gameboy. That's why that's the serial number. Loving your guide, addicted chip-fan, after a decade of fandom deciding to unveil the magic trick for myself. Hi! One question: i really CAN'T REMOVE the gbc crystal oscillator....please, help me!